From entering the astounding lobby with its 2000 dynamic hand blown glass flowers you will know that you are in more than a hotel. 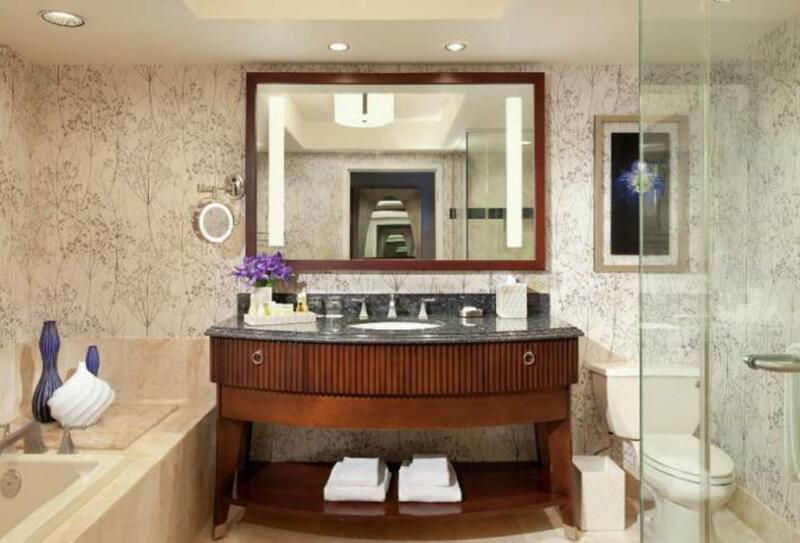 Everything about the Bellagio is grand and vibrant and the extensive amenities cater perfectly for guests of the 3900 rooms and suites. 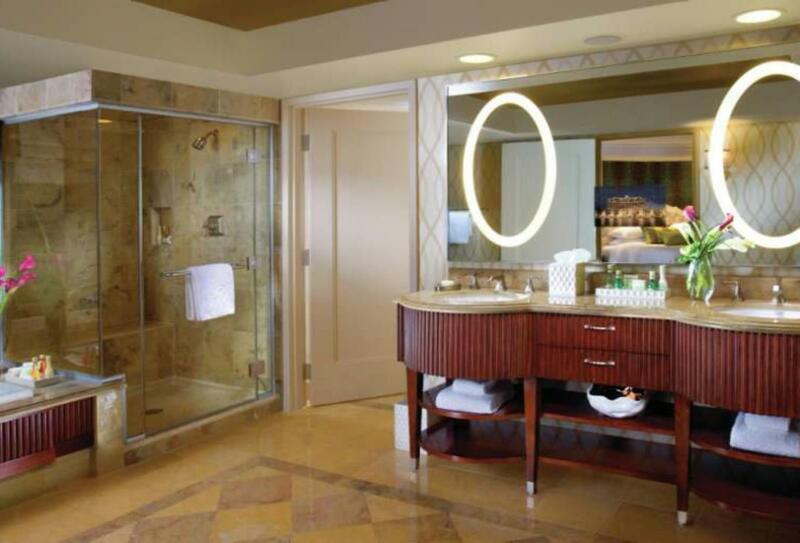 A world class resort hotel with its famous 10-acre lake, right at the heart of the Las Vegas Strip. 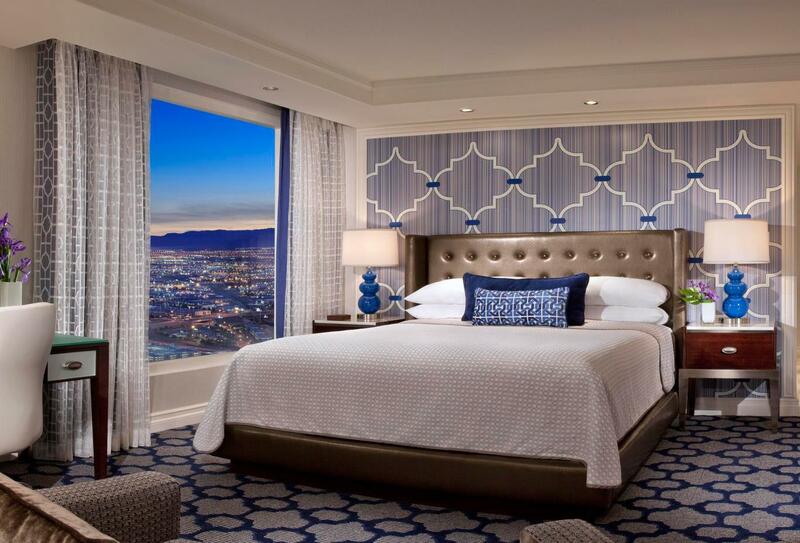 Each of the beautifully appointed guest rooms look out over the Las Vegas strip, Lake Bellagio or the picturesque surrounding mountains. 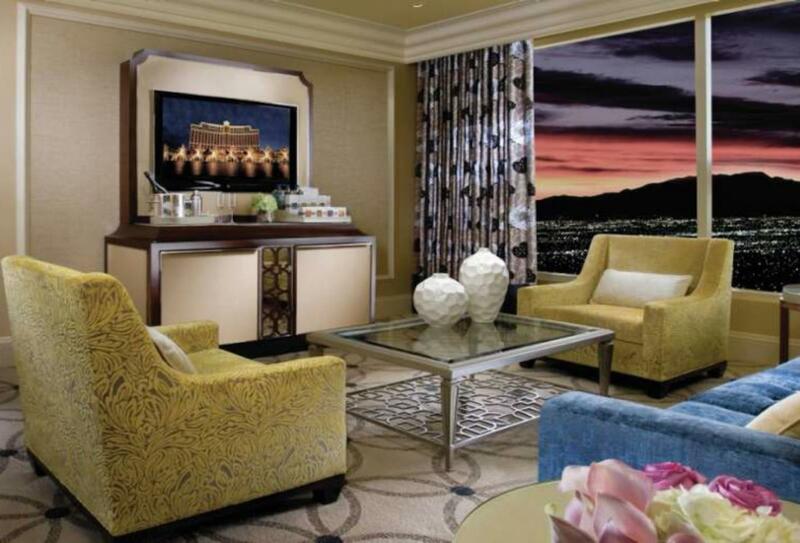 The Bellagio offers an excellent array of guest facilities including nineteen exceptional gourmet restaurants, and seven bars and lounges. 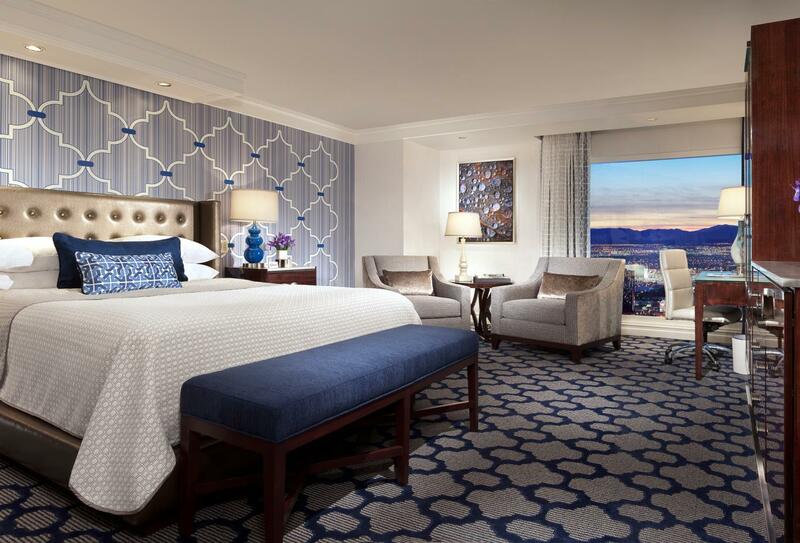 Enjoy beautiful vantage points of the famed Fountains of Bellagio with a backdrop of the Las Vegas Strip. 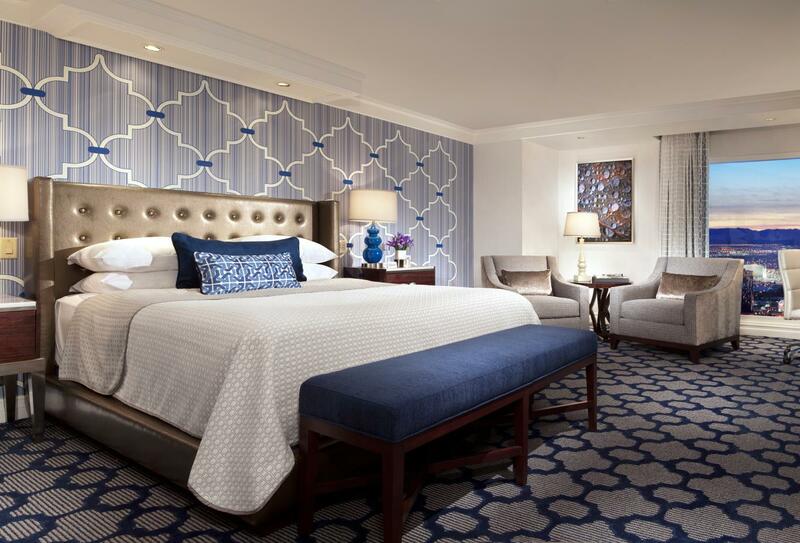 This king-bedded room is appointed with elegant furnishings and marble floors in the foyer. There’s also a convenient sitting area with frosted glass top desk and a sophisticated entertainment centre. Mood lighting, individual climate controls and individually controlled reading lights offer comfort and convenience. 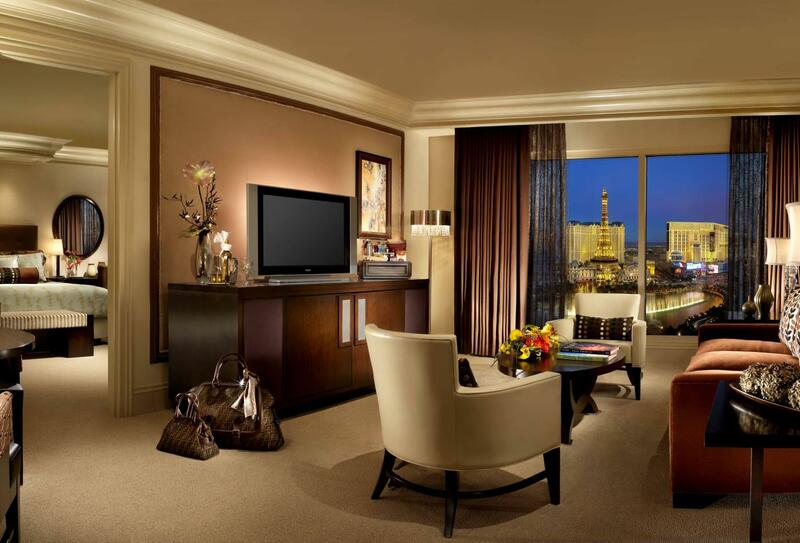 Enjoy beautiful vantage points of the famed Fountains of Bellagio with a backdrop of the Las Vegas Strip. 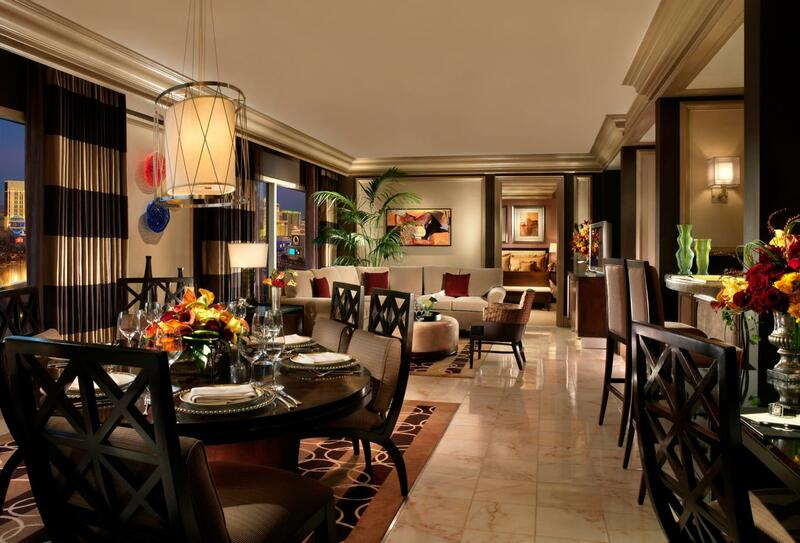 The rooms is appointed with elegant furnishings and marble floors in the foyer. There is also a convenient sitting area with frosted glass top desk and sophisticated entertainment centre. Mood lighting, individual climate controls and individually controlled reading lights offer comfort and convenience. 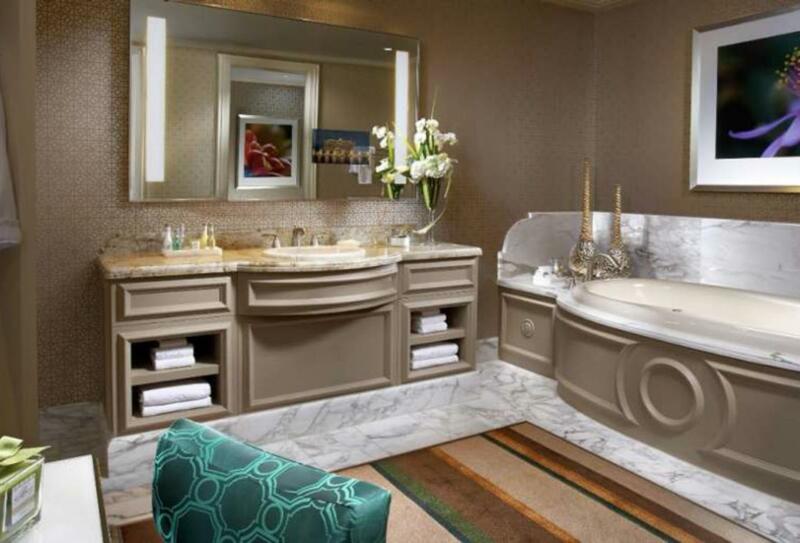 Resort Room amenities were chosen with an elegant feel, pairing modern conveniences with the warmth of home. Luxurious rooms are refreshed with a botanical feel influenced from the Conservatory & Botanical Gardens. 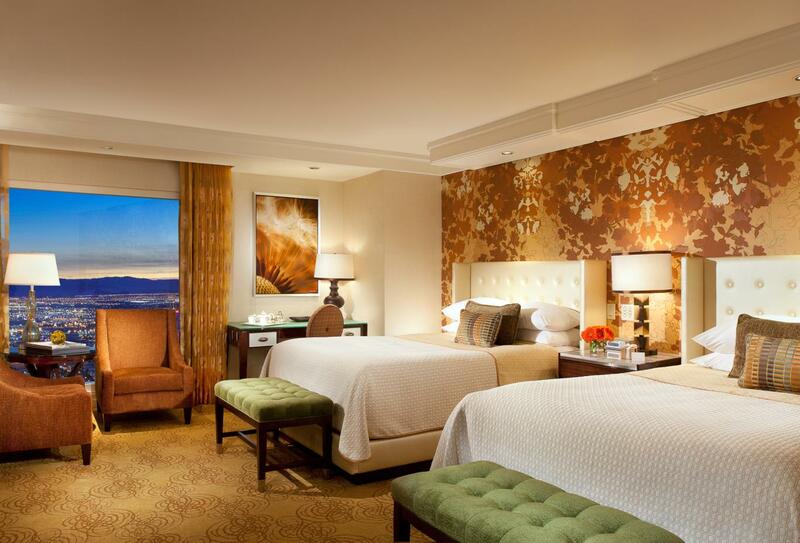 Located in the Spa Tower with spectacular views of the Las Vegas Strip and a partial view of the Fountains of Bellagio. 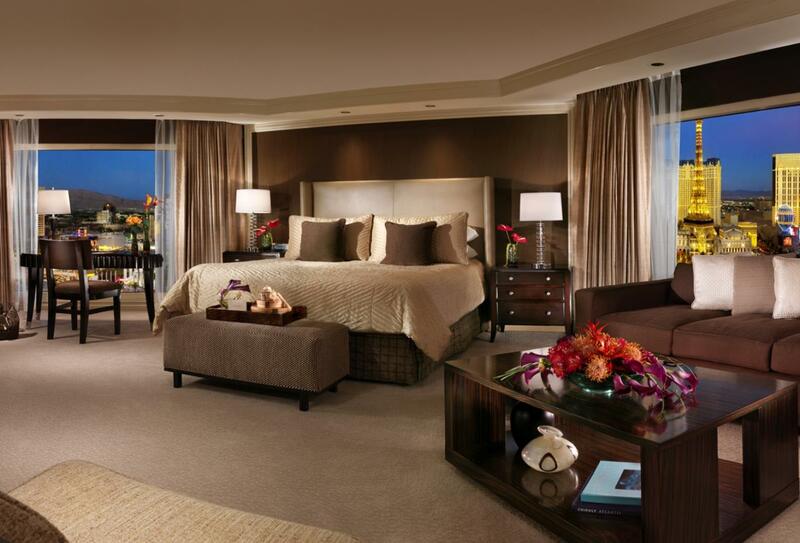 This king or two queen bedded room is appointed with elegant furnishings and marble floors in the foyer. There is also a convenient sitting area with frosted glass top desk and sophisticated entertainment centre. Mood lighting, individual climate controls and individually controlled reading lights provide comfort and convenience. • Botanical Gardens - conservatory and garden where 140 expert horticulturists theatrically arrange gazebos, bridges, ponds, and water features uniquely for each season. 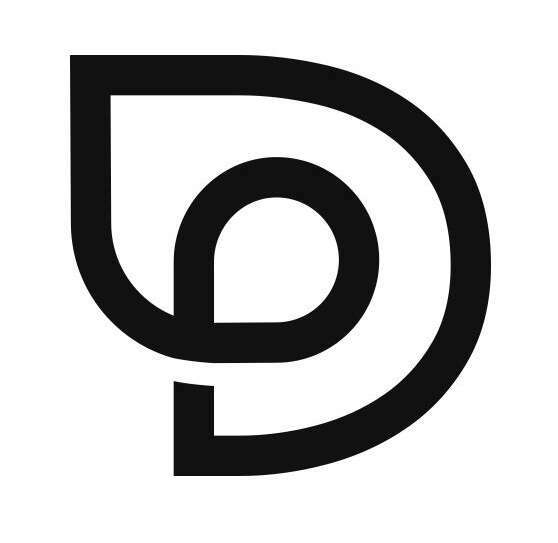 Bellagio Casino offers Five Diamond Award-winning action with the utmost sophistication and style, gaming options include: slots, table games, Race & Sports Book, World Poker Tour etc. 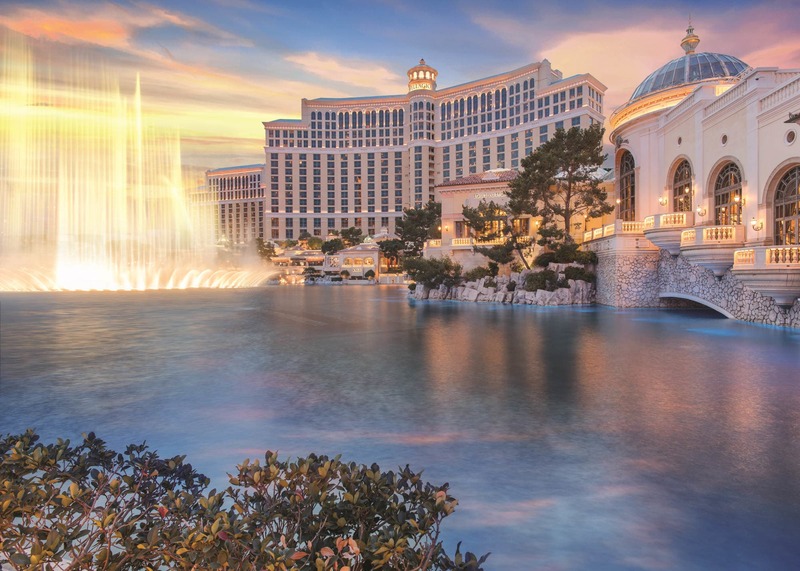 Bellagio offers an award-winning beauty oasis with services that will restore, revive and replenish you with international treatments in a luxurious 65,000-square-foot setting. On offer is an extensive range of treatments including less well-known experiences such as Poolside Cabana Massage, Caviar Fusion Facial and Coconut Milk Bath. Fine dining. 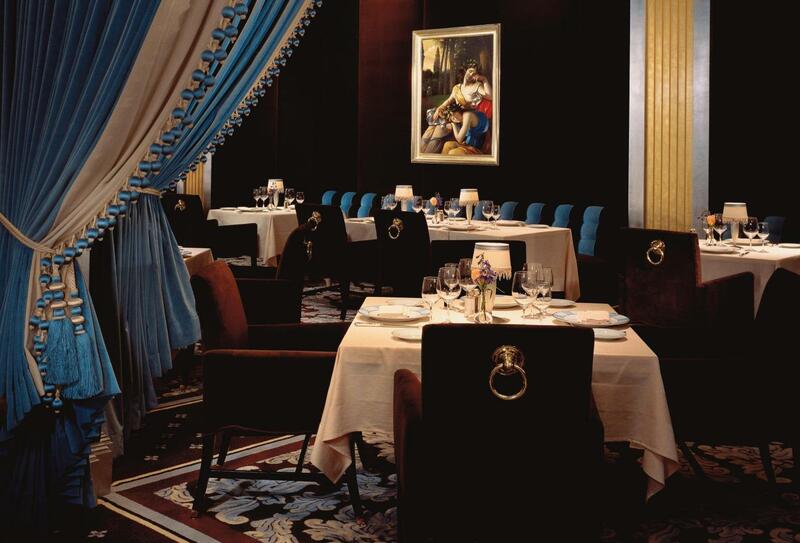 Lakeside location serving Elegant French cuisine seasonally prepared with a Spanish influence. Open 18.00 to 21.30 closed Tuesdays. Contemporary cuisine. Within the Spa Tower where you will find Innovative concept featuring Asian, Italian, American and seafood specialties. Open for Lunch: 11:00 to 14.00. Dinner 17.00 to 22.00 / 22.30. Located off the Lobby, the Petrossian Bar was designed with sophistication in mind. / Baccarat Bar - A compelling contrast. A pianist serenades while Baccarat enthusiasts revel in their game. / Pool Bar - Enjoy your day with a cocktail in hand and sweeping vistas of our Pools & Courtyards.